Feisty on amd64. 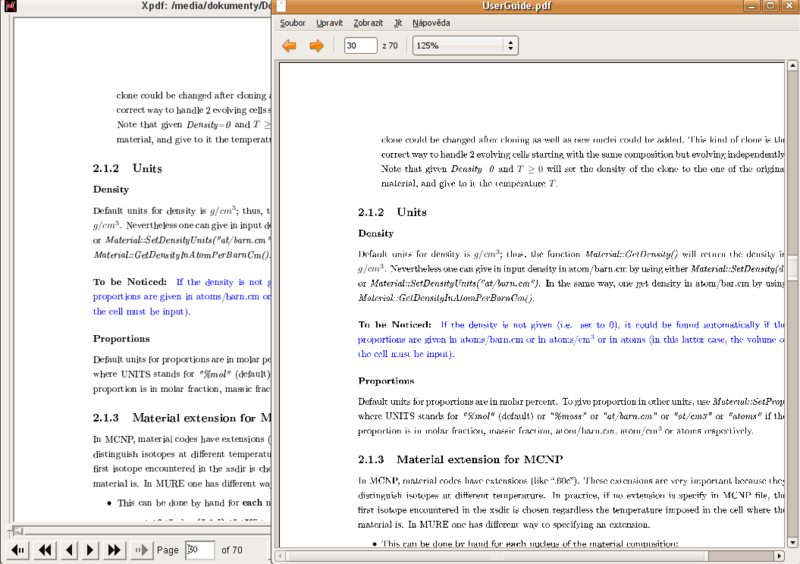 After recent update of poppler, there is a terrible problem with text rendering in some pdf documents. I have problems with this file http://lpsc.in2p3.fr/gpr/MURE/pdf/UserGuide.pdf. Other files I tried are rendered even nicer than before. I add a screenshot comparing xpdf and evince."